You’re safe as long as you think you’re in danger! How come travel at 20 MPH is more dangerous than cruising your car cat 60 MPH, but it’s the truth. Per mile, more people get killed cycling than driving. Apparently, cyclists need to learn how to influence others on the road. That’s largely determined by how and where you ride on the road. 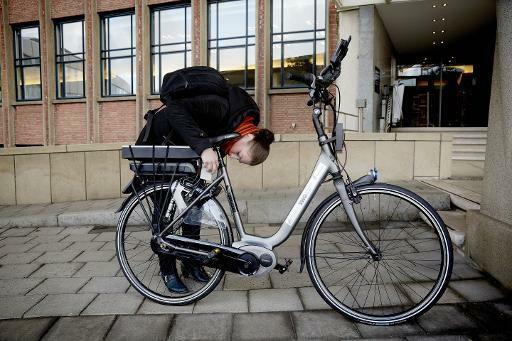 Fortunately, a group of scientists from the Netherlands has worked on a smart bicycle, which warns of traffic dangers and obstacles. It’s equipped with a radar mounted just below the handlebars that checks the road ahead for unexpected movements and objects, as well as a camera above the rear wheel that keeps tabs on what’s going on behind the rider. Using a vibrating saddle, this bicycle warns cyclist of any potential danger if the threat comes from behind, and through vibrations in the handlebars if the danger is in front. “Vibration appears to be a very effective way to warn a bicyclist, and we have done that by putting vibrating elements in the handlebars of the bike and in the saddle of the bike. And in that way, we can not only effectively warn him of danger from the front, from the back, but also indicate left or right,” said Maurine Kwakkernaat, a senior research scientist at the Netherlands Organization for Applied Scientific Research. Besides its intelligent warning system, the bike also features an electric motor, offering assisted speeds of up to 15 MPH. Expected to hit the market by 2017, it should cost between $1,800- 3,500.